Jeff Glucker January 13, 2017 Comment Now! 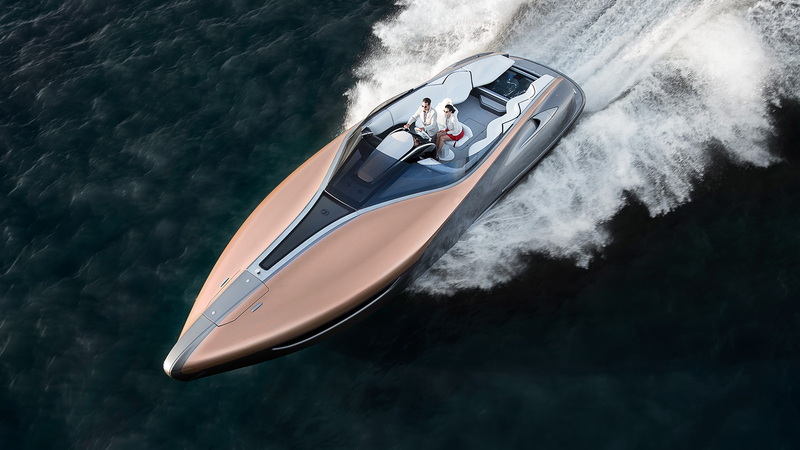 Many luxury car owners also love aquatic motoring, er, boating. Actually, it's probably fair to say that they prefer the term "yachting," depending on what size craft they pilot around their local river, sound, lake, sea, or ocean. Automakers like Mercedes-Benz and Aston Martin understand this, which is why they've created a few maritime concepts recently. 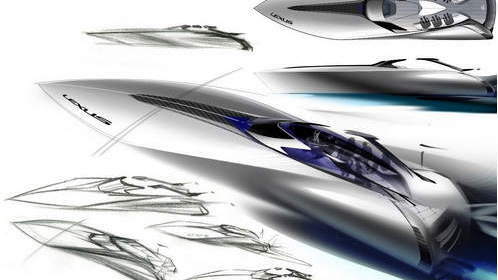 Now Lexus is getting its feet wet with a brand new boat it's calling the Sport Yacht Concept. Toyota has a Marine Department already, and it produces sports fishing boats, cruisers, and other crafts for those who love the open water. 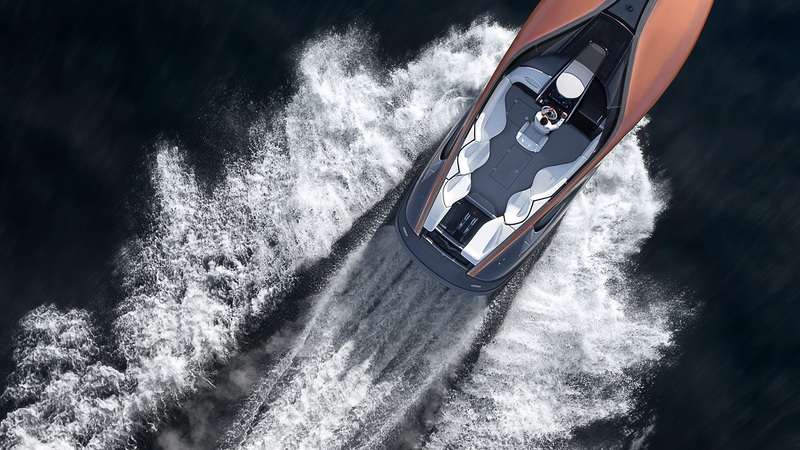 Now Toyota Marine may be looking to bring some Lexus luxury into this segment, and the Sport Yacht is how it is examining it could do just that. On the outside, the concept boat is very sleek. The controls and displays are high-tech and rather gorgeous. Both the interior and exterior of this six-to-eight-passenger yacht make use of carbon fiber reinforced plastic for lightweight strength. This helped the designers and engineers shed around 2,200 pounds compared to using fiberglass reinforced plastic in the build process. Toyota chose Marquis-Carver Yacht Group of Pulaski, Wisconsin, to build the yacht based on its skill in hand-laid composite structures. There's even more Lexus touches when you start this thing up and hear the engines fire. That's because a pair of 2UR-GSE engines are what set those props spinning. These are the 5.0-liter V-8 engines you'd find under the hood of the RC F, GS F, and the LC 500. Each one is good for 440 horsepower on its own. Together they make 873 horsepower and can get this concept yacht hustling along at up to 43 knots. That's darn impressive for a boat that is 42 feet long and 13 feet wide. As you'd expect, Lexus incorporated both technology and luxury into the yacht. 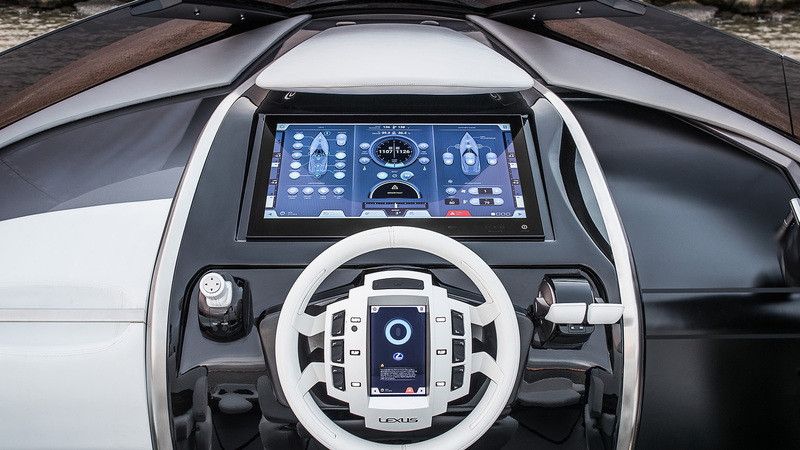 The captain controls things via a color touchscreen panel at the helm, with screens that show GPS navigation, digital charts, surface radar, underwater sonar, lighting, and entertainment systems. The captain’s seat is power adjustable, and it has armrests that fold out to become jump seats on each side. The forward passenger cabin is replete with leather, wood, and glass. It has sofa seating for six, a table, and air conditioning. In the galley you'll find a two-burner stove, a sink, and a refrigerator. There's also a bathroom (head in boat-speak) with a shower. 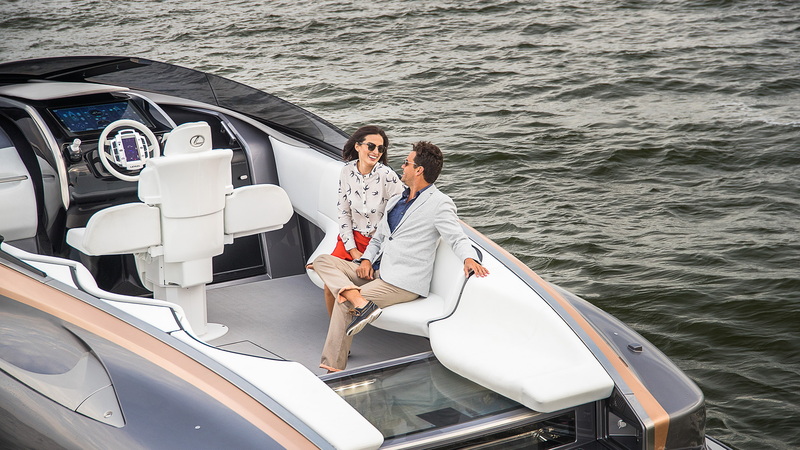 Integrated throughout the boat is an audio-video entertainment system with 4G Wi-Fi and a Revolution Acoustics sound system with a Mark Levinson amplifier. Right now, there are no plans to bring this boat to production. If enough wealthy Lexus fans raise their hands, of course, Toyota Marine might see enough of a business case to make it happen. We hope that does happen because it would be great to hear this thing whistle past as it skims over the open ocean.